If you were searching for casinos with cashable bonuses – you came to the right place. Below we have a list of best cashable casino bonuses with lowest wagering requirements. If you just wondered here and not sure what’s the fuss is all about and what are the advantages of these bonuses, please take a look at the example at the bottom. Combine low wagering requirements and high amount and you get the best casino cashable bonus. The bonus at Slots LV casino is split to 9 deposits. You start with a 200% up to $1000 Bonus. Then, you get 100% bonus on your next 8 deposits. $5,000 in total. All bonuses are cashable and have no withdrawal limits. To try it out, we have a special $22 free chip. Ignition is a sister to our #1 Slots LV casino. The terms are quite similar, but it’s rated 3rd since the bonus amount is lower: $1,000 vs $5,000 offered by Slots LV. The WR here stand on 25x bonus plus deposit. There are no maximum cashout limitations and it is available to US casino players as well. You can even wager this bonus on most table games such as Blackjack for example. Let’s take 3 different bonuses as our example. 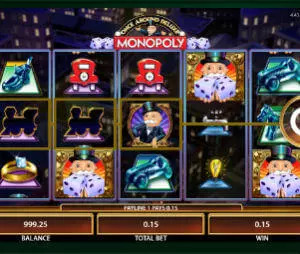 To keep it simple, let’s say that we deposited $100 and played slots with 97% return. The amount we will need to wager here is (100+100)x 15 = 3000. If we get 97% return it means that after placing bets worth 3000 we will end up with: $110. (3000×97%= 2910. 3000-2910= 90. Meaning that it will cost us $90 to compete the wagering). The amount we will need to wager here is similar, so we will end up with $110 in the end. But….the bonus here is non -cashable, meaning we will need to return the $100 bonus that we’ve taken, ending up with poor $10 in our pocket. The WR here are higher so we will need to place $5000 worth of bets. Let’s see how much it will cost us: 5000×97%= 4850. 5000-4850=150. Meaning that it will cost us $150 to compete the wagering. We had $200, minus $150, we will end up with $50. As you can see, despite having much higher wagering requirements than the previous bonus, we were well compensated by the fact that this bonus is cashable, ending up with $50 vs $10. As you can see, cashable bonuses have enormous effect on your winning odds. Needless to say that casino games and particularly slot machines, are games of luck. We do not mean that every time you take a $100, 100% cashable bonus with x15 WR you will end up wining $10. They should be played for fun and not a way to make money. On the other hand, by choosing cashable bonuses with lowest possible WR, you drastically increase your odds, and not less important, your playtime. Over time, it can be worth a lot of cash!